An individual will receive a speeding ticket if they exceed the posted speed limit on a particular road or highway. Speeding tickets are distributed by state, local, or county police officers. All jurisdictions and roadways post speed limits that are meant to be followed to uphold traffic laws and ensure safe driving. When violated, a motor vehicle operator will be issued a speeding ticket which is typically attached with a fine, a court summons, or the addition of points on the user’s drivers license. That being said, speeding tickets are not absolute; all speeding tickets can be contested or fought. 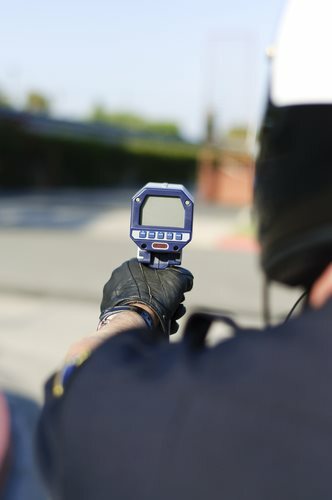 Speeding ticket defense refers to an appeal by the individual convicted of the violation. Speeding tickets are costly; they are not only attached with a large fine, but they also affect insurance premiums. As a result of these penalties, an individual has the opportunity to plead their case and eventually get out of a speeding ticket. To fight a speeding ticket, first check the box on the ticket that says you would like to schedule an appeal hearing. Following this, mail the ticket to the court and acknowledge the court date on the ticket. This process begins the speeding ticket defense; the individual convicted of the violation will appear before a traffic court to contest the issue. Make sure to show up early and dressed appropriately when defending a speeding ticket. When asked for your plea, plead not guilty and offer evidence or a substantial reason to get out of a speeding ticket. Speeding tickets can be issued illegitimately; sometimes speed limits are obstructed, or not posted at all. In other instances, the police officer issuing the ticket can do so under false pretenses or by mistake. Regardless of the issue at hand, the court appearance is the only way to get out of a speeding ticket. Ignoring the ticket and not taking part in the appeal process will result in additional fines and penalties.